ADAMED SmartUP is providing talented students – the programme participants – with a unique opportunity to fight for their dreams. Thanks to one of the gifted ambassadors, Joanna Jurek, they will be given additional support in applying and submitting research work for young scientist competitions, finding a research supervisor, writing their CV and motivation letter and also drawing up a business plan. The beginnings are always difficult, so it is good to have someone who will share their experience. Joanna Jurek, a student of biomedical science at the Ulster University in Northern Ireland, would like to share her knowledge and offers her help to the programme participants. Tips on writing a CV and a motivational letter, both in Polish and English. 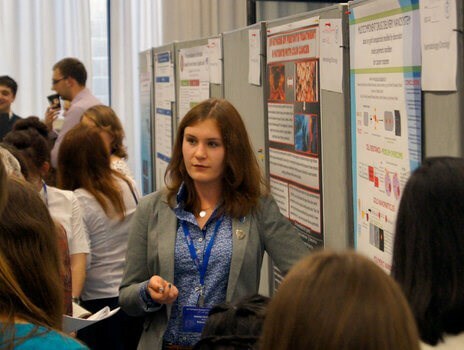 Joanna Jurek is a laureate of E(x)plory competitions, the2014 Intel ISEF Los Angeles competition and Innovation Fairs in Croatia and Germany. She is also a co-author of the Origami BioBandage project, speaker at TEDx Youth 2014 in Krakow and at the international 2015 P&G “Always like a Girl” programme. At the age of 17 she developed an innovative manner of delivering pancreatic cancer drugs. Her achievements were described by the Financial Times in 2014. She has recently obtained an entrepreneurship certificate from the Swiss Trestle Group course. When searching for motivation and support in educational development, it is worth contacting the ambassador of the ADAMED SmartUP programme. She will answer any questions and share her knowledge. You may contact her via her e-mail address: jjurek@adamedsmartup.pl.